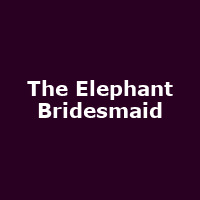 Written especially for parents to enjoy with their children, The Elephant Bridesmaid is a magical musical about weddings and wombats and the loveliest elephant the world has ever known. Based on a story from the best-selling book How The Koala Learnt to Hug and Other Australian Fairytales this delightful show has just the right balance of games, songs and heart warming elephant antics to make any day feel like your special day. So join Nessie the Elephant and her fantastic animal friends and help them as they go in search of an outfit fancy enough (and large enough) to make her the Australian jungle's first and most beautiful Elephant Bridesmaid.